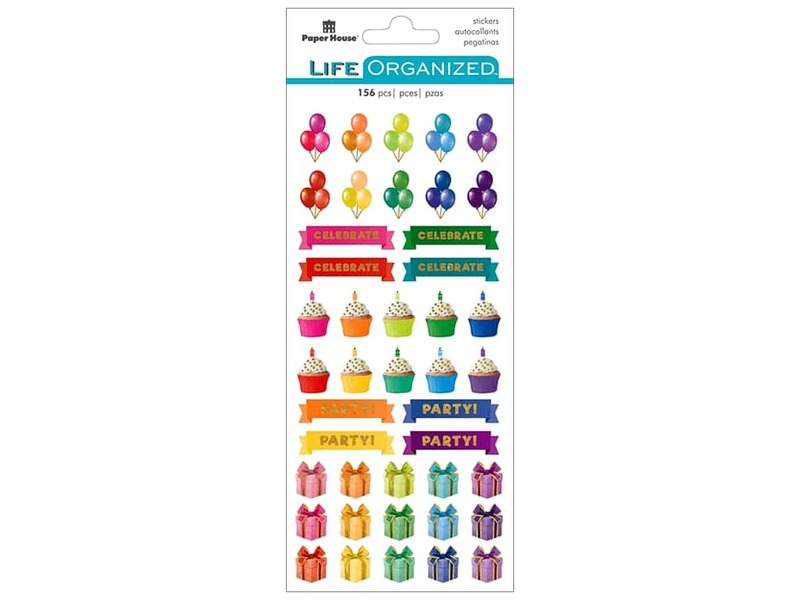 Description: Paper House Collection Life Organized Sticker Functional Birthday- 172 mini stickers that include designs of balloons, cupcakes, gifts and tabs with captions that read celebrate and party. Tabs measure approximately 1.31 in. x .25 in. Four sticker sheets with the same images, 2 of which have bright colors, 2 have pastels, and all have gold foil accents. See more Paper House Planners.